It has been a very long time that I have written. I am in desperate need of some writing therapy right now and so I figured this gives me a chance to get started again. I was in my kitchen cooking and I have a wine bottle light that I had bought some time ago and it got me thinking of clever uses for wine bottles. I have many sitting around and would like to start repurposing them. As I have always said, the world wide web is an endless source of ideas. Repurposing and upcycling is steadily becoming more and more the “IN” thing and so I have really been tossing around the idea of making my Serendipitous Treasures dream come true. This beautiful and colorful bottle was done by LucentJane from Etsy. It is a Henna style decorative wine bottle and it is hand made. You can purchase this for 30.00 or try and make your own but it looks like it probably takes some time and talent. I positively adore the colors. So check out the picture above. 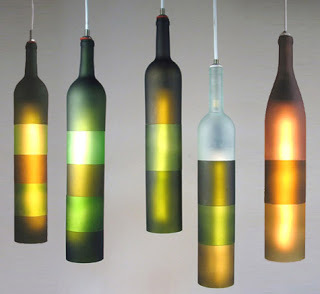 I love the idea of turning bottles into pendant lights. A simple light kit should do the trick. I love this idea. You can see how to do this by clicking here. 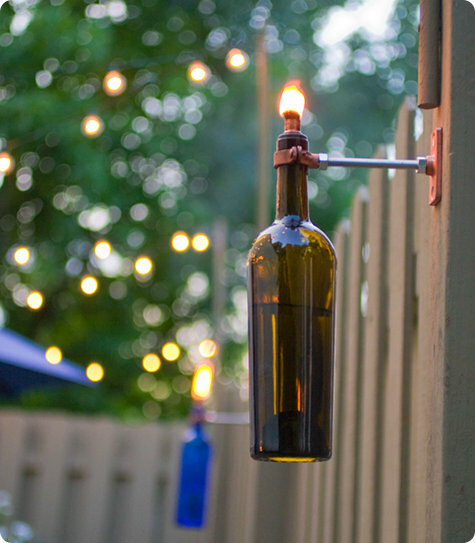 How about using the same concept to make a recycled wine bottle torch! This is great and I have the perfect spot for these on my deck. Click here for instructions. 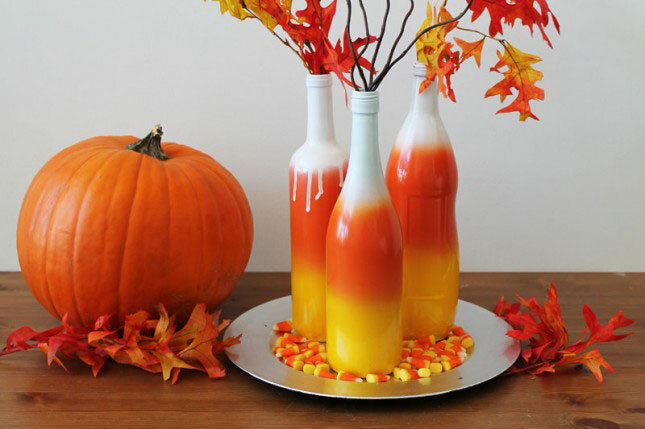 There is just something about candy corn colors that makes me smile. Check out this recycle project. 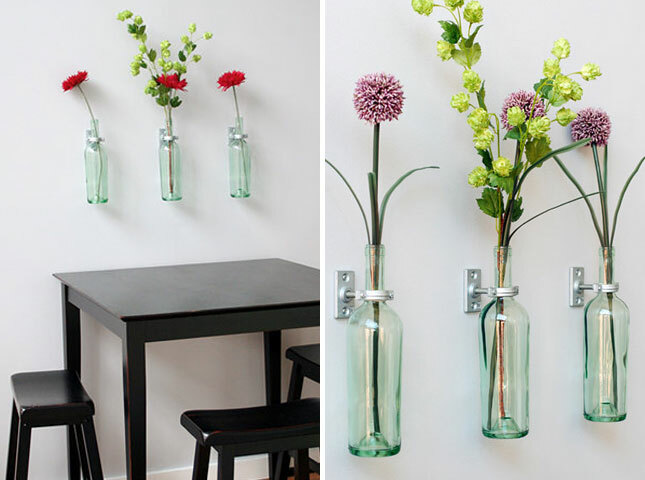 So, in closing, there are just so many uses for used wine bottles. All you have to do is google it to help get your creativity flowing. Send in your pics!